Researchers at the Wellcome Sanger Institute, Open Targets, EMBL’s European Bioinformatics Institute (EMBL-EBI) and collaborators used CRISPR technology to disrupt every gene in over 300 cancer models. The results revealed thousands of genes that are essential for cancer survival, meaning they could be good candidates for cancer therapeutics. The researchers also developed a system to prioritise and rank the drug targets identified. The results, published in Nature, could accelerate the development of targeted cancer therapeutics. The research is part of a wider project, called the Cancer Dependency Map, which aims to create a detailed rulebook for the precision treatment of cancer. 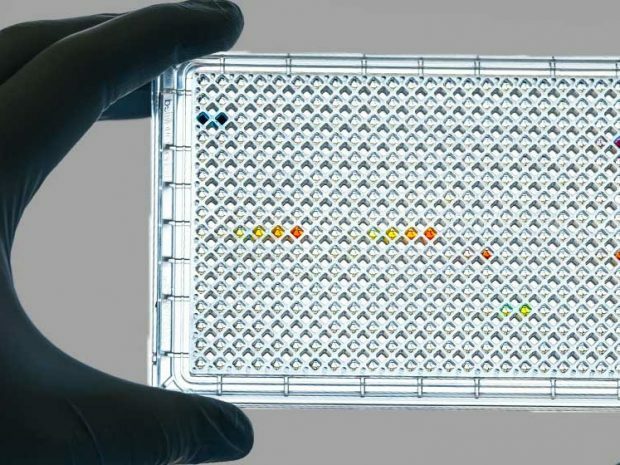 For the current study, the researchers conducted one of the largest CRISPR screens of cancer genes to date, disrupting nearly 20,000 genes in over 300 cancer models from 30 cancer types to uncover which genes are critical for cancer survival. The team focused on common cancers, such as lung, colon and breast, and cancers of unmet clinical need, such as lung, ovarian and pancreatic, for which new treatments are urgently needed. It is expected that the collaborations between researchers, at Sanger and EMBL-EBI, and pharmaceutical companies within the Open Targets partnership, will bolster the translation of these research results into new treatments. Read the full press release on the Wellcome Sanger website. Visit the Open Targets website.